artists, breweries and vendors. ArtsFest continued its tradition of featuring and presenting one of a kind art experience. Heater also elaborated on how she feels the event benefits the Allentown community, saying, “[The Alternative Gallery] already does a lot for the community. We do community block parties, clean-up parties. We offer arts classes to get kids off the streets and give them something to do. Then you’ve got the added things; this gives people a place to be. Muhlenberg: Kevin Tuttle, Carol Heft, Emily Orzech, Ray Barnes, I’ve worked with all of them. Overall, ArtsFest was a perfect opportunity to engage with Allentown and escape the “Muhlenbubble” without having to go too far from home. Mark your calendars for Sept. 27-29 next year to check out all the amazing local artists that are available. Until then, continue to reach out to The Alternative Gallery to find out new ways you can engage in the art community of Allentown. 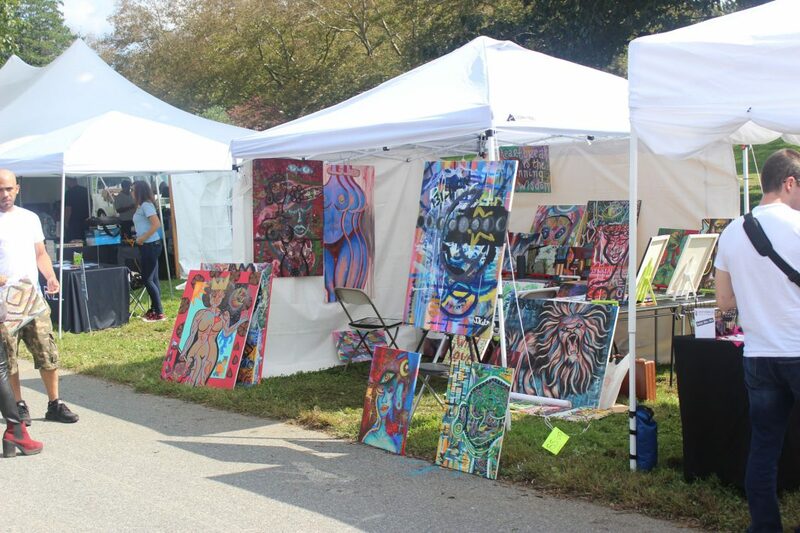 Cutline: Graffiti artist See TF paints alongside other artists along the shore of Lake Muhlenberg Saturday afternoon at the fifth Annual ArtsFest. Next articleShould Brown Hall go co-ed?